All participating blogs in the Coffin Hop are supposed to be hosting some sort of contest. Which means I’m hosting my first giveaway! Three winners will be chosen to receive a free e-copy of my book The Imaginings. In order to be eligible, the requirements are simple. Next Friday, I’m hoping to have a new Halloween-themed flash piece available for your reading enjoyment. If I end up writing the idea I have in my head today, I can tell you it will be pretty topical. The fact that this is the picture Hunter sent when I asked if he had an author pic makes me like him even more. 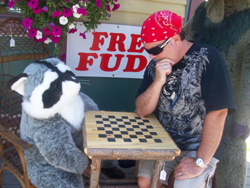 To be honest, I can’t remember how I met Hunter Shea, author of the recently released horror novel Forest of Shadows. Or maybe he found me first. Whatever it was, it’s been a pleasure getting to know him better. And even better than simply the written virtual world of bloggers and writers, Hunter and his amigo, Jack Campisi, also have a video podcast they do called “Monster Men.” And it’s just that. Two guys sitting around talking horror. The only thing missing is a six-pack of beer. Otherwise, I could imagine myself hanging out and having the same conversation. So I looked forward to posing the Seven Questions to Hunter. And he provided some great answers. When I first started seriously writing in the early 90s, it was definitely a favorite hobby. Life was no bed of roses at the time, so it provided a great escape, and I got to let my evil little id roam free. Somewhere around the time that everyone was infected with Y2K needless panic, I realized it had become so much more than that. It is very much my passion and I feel a bit lost when I haven’t written. The goal now is to make it a full time profession, which means lots and lots of work ahead. 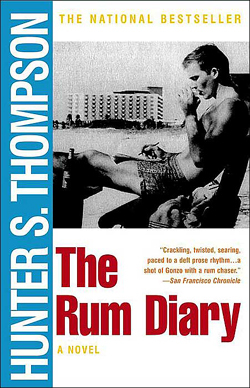 I just finished reading Hunter Thompson’s The Rum Diary for the third time. I love his brutal portrayal of twisted news men in 1950’s Puerto Rico. I have a stack of horror novels thigh high for October and I’m going to start Tim Lebbon’s The Thief of Broken Hearts tonight. I read all genres, except romance, but horror is always my go-to. I’m addicted to getting the creeps. Every year I head up to Maine for vacation and every year I bring along the newest Douglas Preston/Lincoln Child thriller. All of their books straddle the horror line, and all are amazing reads. Wow, 30 huh? Generous. 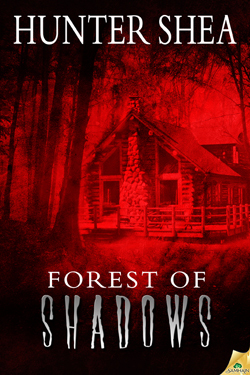 My new book, Forest of Shadows, is about a man who wins the lottery on the day his wife dies in her sleep. Rich, yet broken emotionally, he turns to researching the paranormal for a living and gets in waaaay over his head. – Damn, that took 44 words! OK, here goes : The dead still hate! When my kids were young, it was very difficult to find uninterrupted time to write. My wife did a phenomenal job herding them away when she knew it was time for me to hit the keyboard, but when I heard them laugh or cry, I had to jam myself into my seat to keep from going out to see them. Even though the kids are grown, finding time between work (which never stops thanks to Blackberrys) and family isn’t always easy. It takes a lot of discipline and an understanding partner. After a long day at work, it’s not always easy to muster up the brain cells needed to write, but if you want to make it at all in this business, you have to push yourself. The very first book I ever wrote was a romantic comedy. That’s right, Mr. Horror had a grand old time penning a rom-com. And you know what? When I read it now, it’s still pretty funny. No regrets on that one. It did teach me what it’s like to have the discipline to sit and write a book for a year. 7- As we approach All Hallows Eve, I’m curious to know if you have a favorite Halloween memory? Could be a favorite costume you put together. Crazy party. Séance in a cemetery. It’s kinda scary that you mention a séance in a cemetery. When I was in college, on a Halloween night, we gathered at a fraternity brother’s house that was across the street from a cemetery to make our own Ouija board and see if we could talk to some of the dearly departed. Well, it worked, and the person who spoke to us, Fran Turner, turned out to be someone interred in the cemetery (we roamed the tombstones the next day to verify). The freakiest part was, Fran got tired of talking through the Ouija board and decided to speak through one of us in the circle. To this day, I swear that his face literally changed, along with his voice. None of us have ever messed with a Ouija board since. And the name Fran Turner still gives us, a bunch of grown men, chills. Any comments you’d like to add to Hunter’s answers? Or just say hi and tell him you stopped by? Also, I would hope you would check out any of Hunter’s various performance venues. There are samples of his writing at his personal website, in addition to the Monster Men video podcast. And don’t forget to come back next Friday for my Halloween flash. Finally, if you have the time and enjoy perusing some good blogs, make sure to click on the blog hop links above and see who else is out there. Make sure you tell ‘em I sent ya. What a great interview, thanks! I do always love “hearing” people talk about how they got started and why they do what they do… I’m with you – I think the Ouija-board/possession story needs to be written too – although I’m also torn on scary or funny. Perhaps both – I like that, the mixture of creepy and darkly funny… Then again, I’m weird. Proudly. So maybe I’m the only one who does! And I’d love to enter your contest – although I already have a copy of The Imaginings purchased proudly from amazon and sitting at the head of the queue to read on the flight to The Honeymoon next week. Yes, I know, how romantic I am… teehee. But what can I say, I married the right guy, one who understands the Need to Read thing, so it’s all good. And I’ve always enjoyed a little humor with my horror. Great interview! You horror writers seem to very similar. I just picked up Rum Diaries as well since I saw the preview…gotta beat the movie. Yeah, we seem to have a lot of similiarities. One thing I’ve found interesting is how many horror writers are “softies.” (maybe because we release our darker side through our writing). Thanks for stopping by, and I hope you have a good weekend. Love to the fam. Another great interview. You know the most interesting people. I am interested in checking out his podcasts. And his book. I just started a new book called “best served cold”. It was on sale and so far not bad. When I’m done I will look into “forest of shadows”. I have been trying to wait for my new kindle fire before buying new books but haven’t been successful. Love your blog, Paul. Keep em comin. Hey Kodi. Thanks as always. Yeah, there are definitely some characters out there. I’ve enjoyed the opportunity to meet so many of them, especially to find more horror writers or just writers in general. It’s nice to be part of that community, even if only virtually. Great interview! I have never been a believer in the powers of a Ouija board. Being a psychology major, I know that the ‘power’ behind a Ouija board is the ideomotor effect (the brain’s ability to unconsciously make motion)…but reading Hunter’s creepy story at the cemetery makes me wonder!!! Much thanks. Here’s to Day 1. Heading over to your blog right after I write this. Tony, The Rum Diaries movie looks nothing like the book. It’s being billed as a comedy. 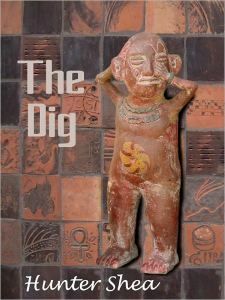 The book can be funny, but is ultimately tragic. Kodi, come on over and check out The Monster Men on my website or YouTube any time. We’re starting to post small movie reviews as well. Erik, I don’t know what the hell happened that night. I think the power of the human mind is stronger than we could ever conceive, but I have no concrete proof whether it was our collective subconscious or something else. Better to just stay away from ouija boards entirely. I remember thinking of having a seance in my basement and a cat looked in the window–his eyes glowed in the dark and we almost had heart attacks! Great memory! Ha ha. Great story. Maybe it was a sign or a warning from beyond against having a seance… or maybe it was just a cat. Thanks for stopping by. Great interview, and Forest of Shadows sounds like my kind of read! Great stop on the Coffin Hop tour and really great interview! Happy Halloween and Happy Coffin Hopping! Thanks so much for the kind words. Yeah, Hunter is a pretty entertaining guy, and it was fun to do the interview. And this Coffin Hop is a blast. Heading (or should I say “hopping”) over to your site, as well. Much thanks for stopping by and thank you as well for subscribing. I really appreciate it. Hope to see you back when you get a chance. Happy hopping. Hunter’s book sounds like a book right up my alley…I love all things paranormal. Like the looks of your site. Have subscribed. Now off to jump into someone’s else’s coffin. Hi Kim. Much thanks for “hopping” by. And if you like all things paranormal, you are in the right neighborhood. And I’m sure Hunter will be glad to hear that his book sounds interesting. Glad you stopped by and I’m on my way to your site, as well. Wonderful interview. His book sounds intriguing. Thanks, A.F. And good to hear from you. I think something is wrong with my notifications. I haven’t been notified of your posts. I’ll have to head over right now and remedy that. Seven great questions for a great writer! Very interesting when you interjected the “softie” thing in there. 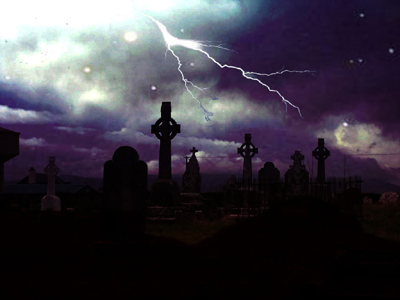 Horror writers and others who dabble on the darker side of life are much more in tune with their emotions. We just don’t want to let the word out, though. Yes, Paul, we don’t want to establish a wrong horror persona. Hope to see you hop on by. Nora, pleased to meet you. Having a good time with these two hops (although can’t believe I’m also signed up for the Halloween Hop… the Coffin Hop has been keeping me busy enough considering I have another job besides writing.). Sounds like an interesting hobby you have. I’ll be hopping over to your blog soon. Thanks for stopping by. Much thanks for stopping by and good luck on the giveaway. I didn’t see a blog link. Would be glad to check out your site as well if you have one.